Uzbekistani coat of arms; national ornaments; stylised birds; top of the Kalyan (Kalian) Minaret - Po-i-Kalyan. 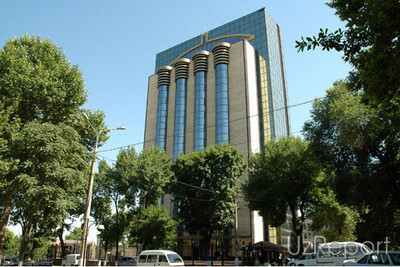 Alisher Navoi Rotunda Monument in Tashkent. 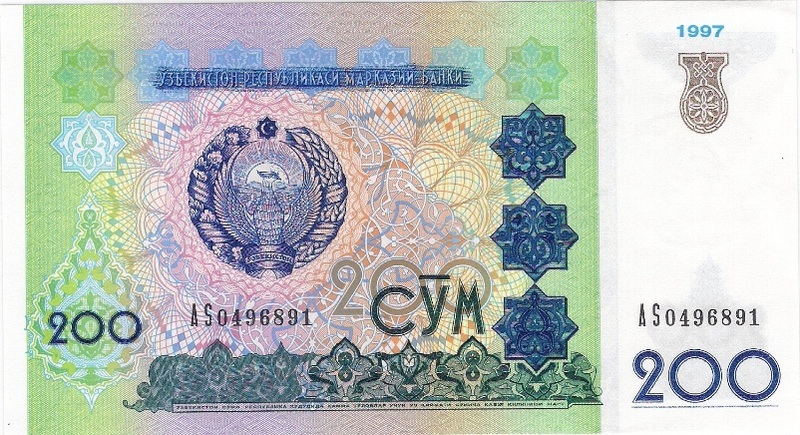 On wide white space on right side of the note there is a local watermark with picture of the Coat of Arms of the Republic of Uzbekistan. 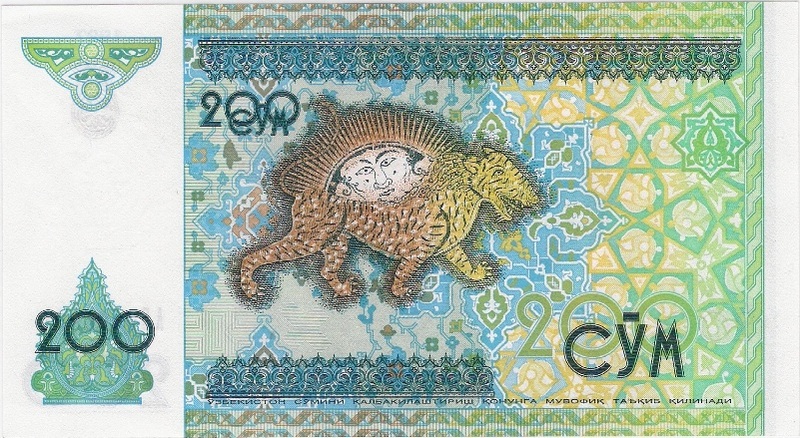 Front: Uzbekistani coat of arms; national ornaments. Back: Gur-i-Amir - Mausoleum (tomb) of Tamerlane (Timur) in Samarkand. Back: Qazi Zadeh Rumi Mausoleum in Samarkand. Back: Registan Square in Samarkand. Front: Uzbekistani coat of arms; national ornaments; Semurg birds. 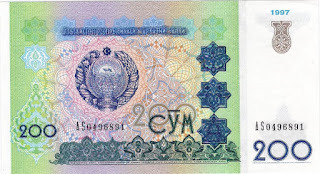 Back: "Druzhba Narodov" (Friendship of Nations) Square in Tashkent. Front: Uzbekistani coat of arms; national ornaments; eight-angle stars.